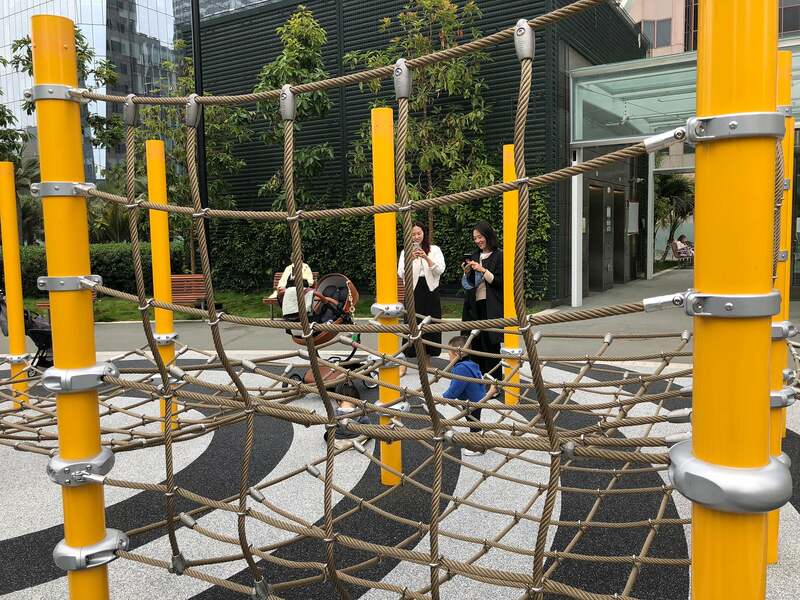 There's lots to do and so for children, including climbing a rope play structure. Photo: Brenda Kahn Not labeled for reuse. All rights reserved. 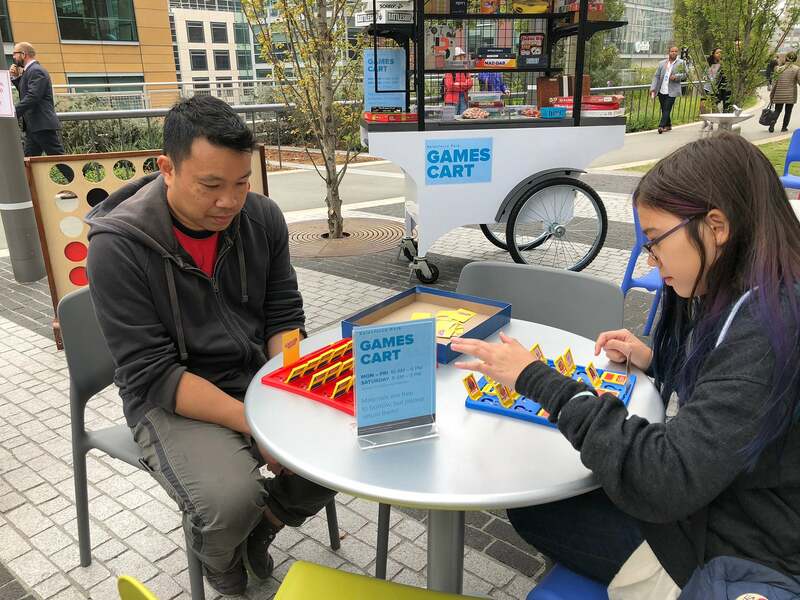 Visitors can check out board games free of charge. 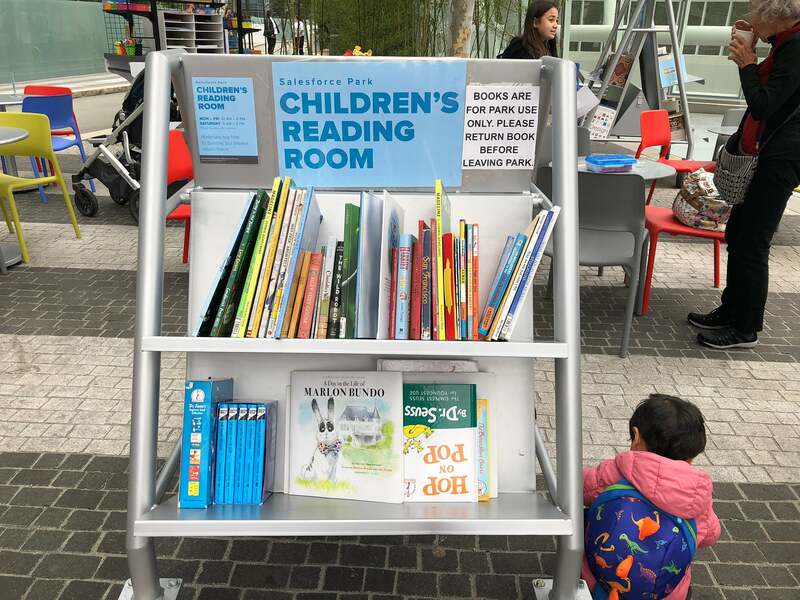 Families can check out picture books at the outdoor children's reading room. 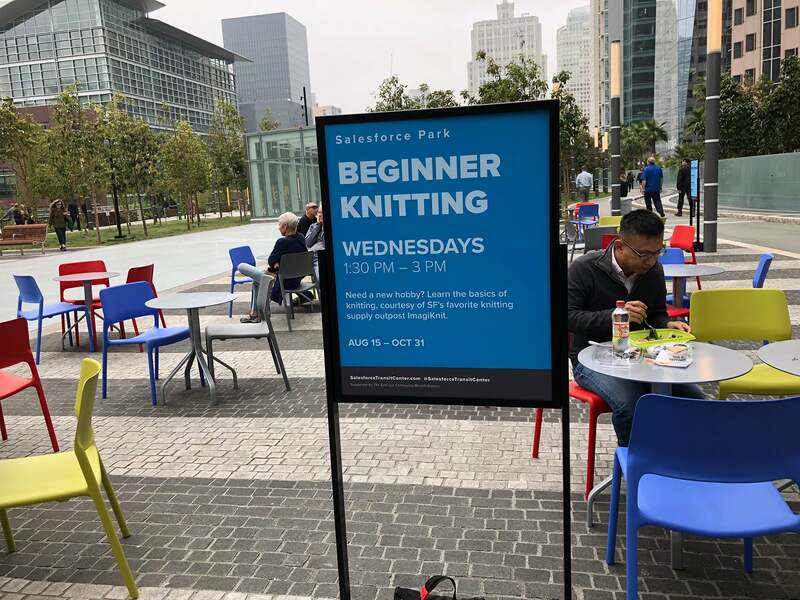 The rooftop garden abounds with free classes galore, from fitness to knitting. 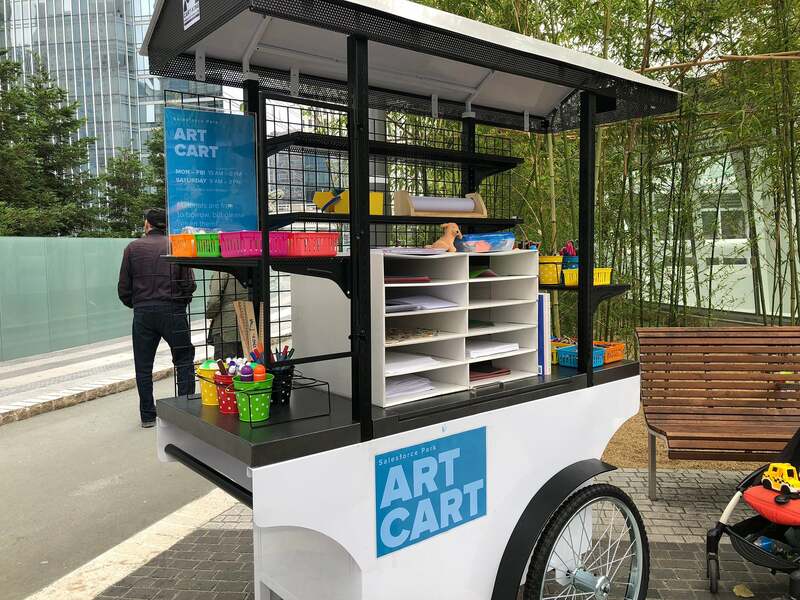 Families can take an art break at the art cart, free of charge. 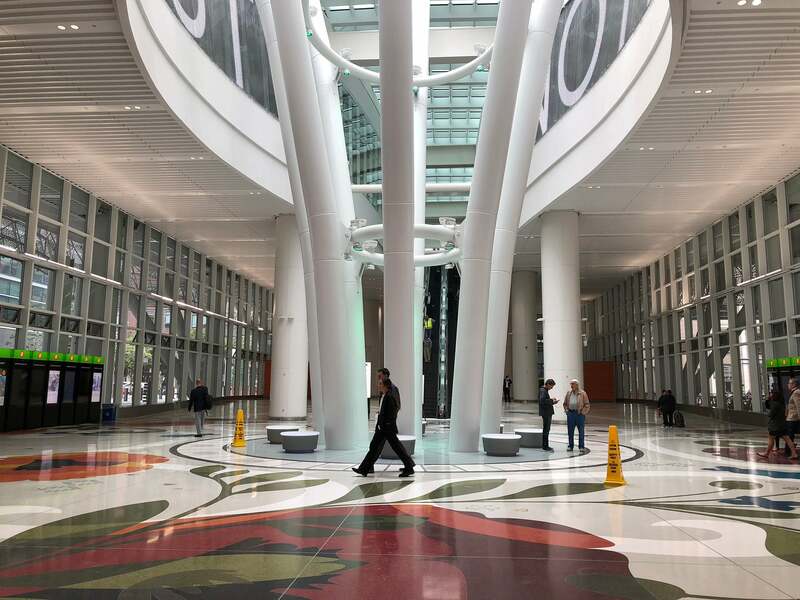 Interpretive markers point out botanical features and the inner workings of the rooftop garden. 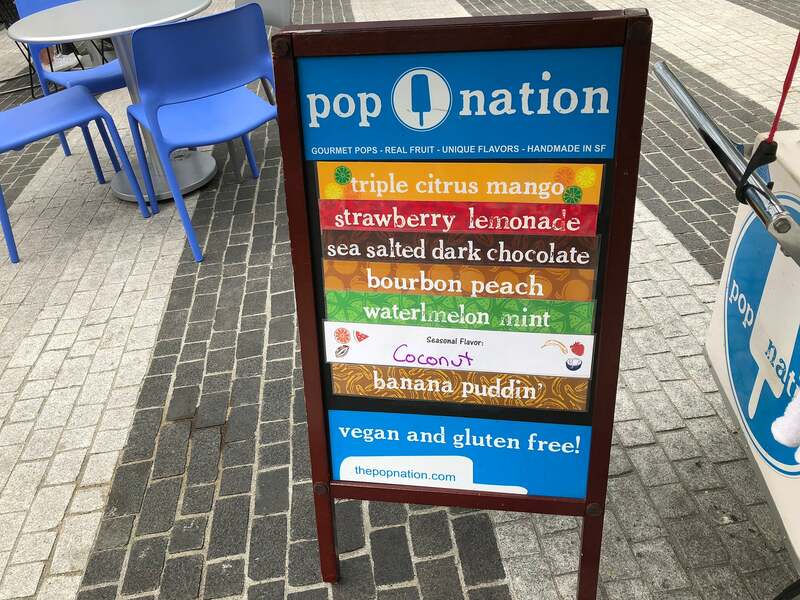 While the restaurant and cafe haven't opened yet, a variety of food carts offer refreshments at the rooftop garden. 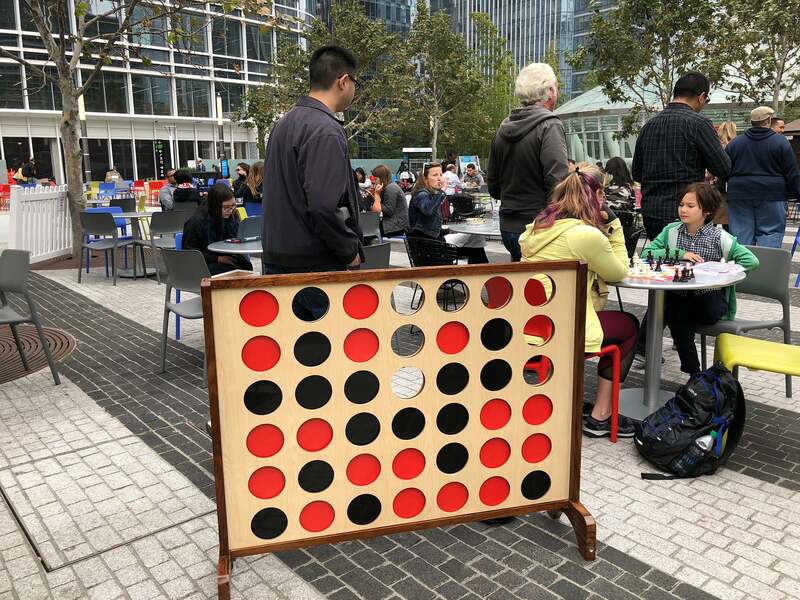 Visitors can check out board games on the honor system, or try their hand at the giant "Connect Four" board. 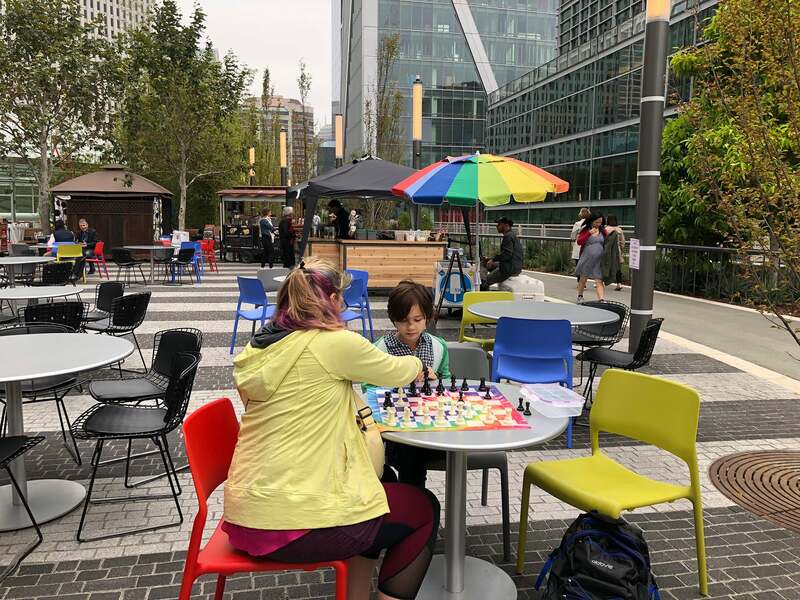 Tables are available throughout the park, for eating, playing games or doing art. 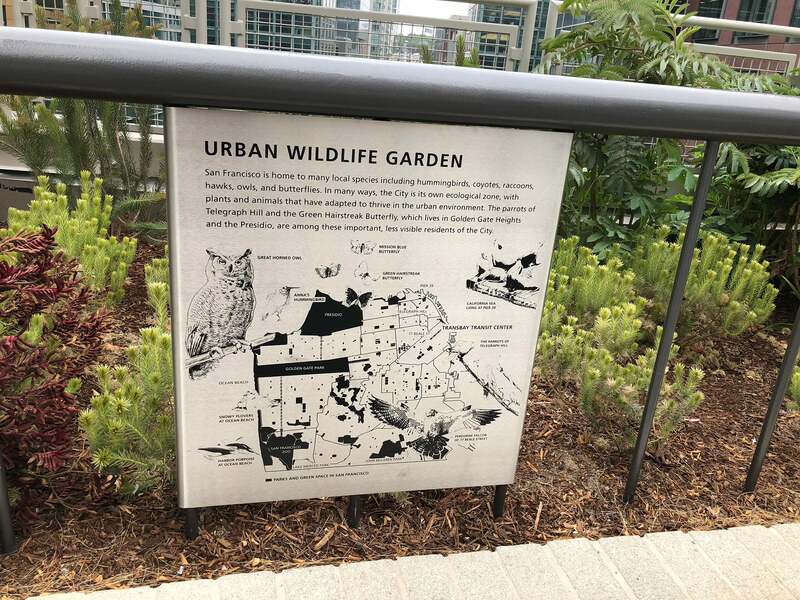 The perimeter of the park is lined with a series of microgardens, including this urban wildlife garden. 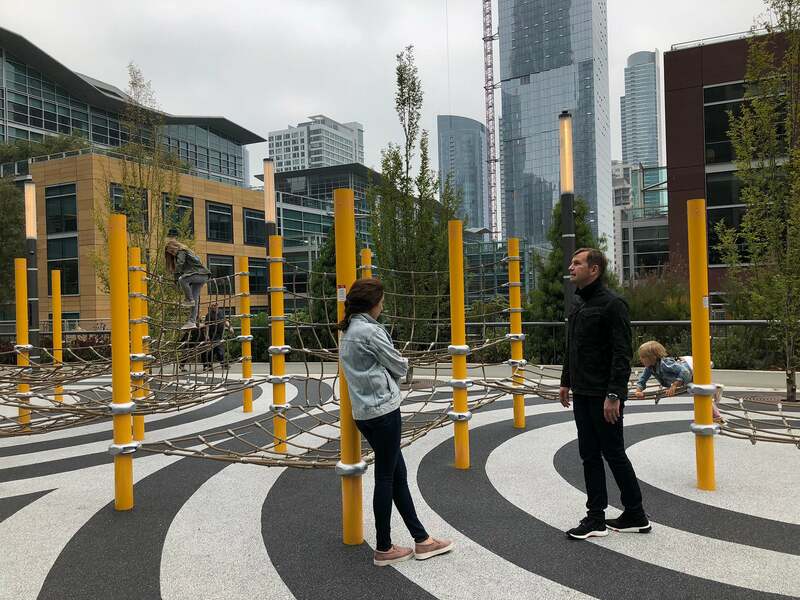 A ropes course, kid style. 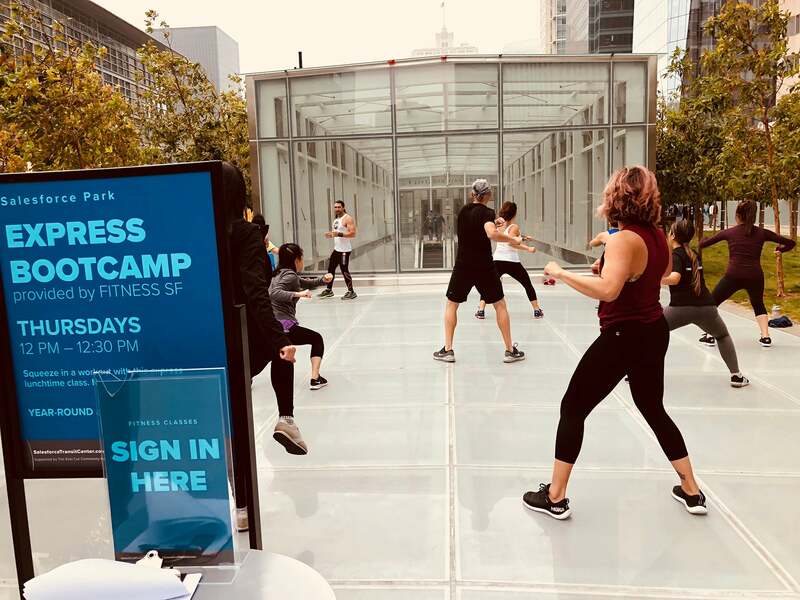 Free fitness classes are offered daily to the lunchtime crowd. 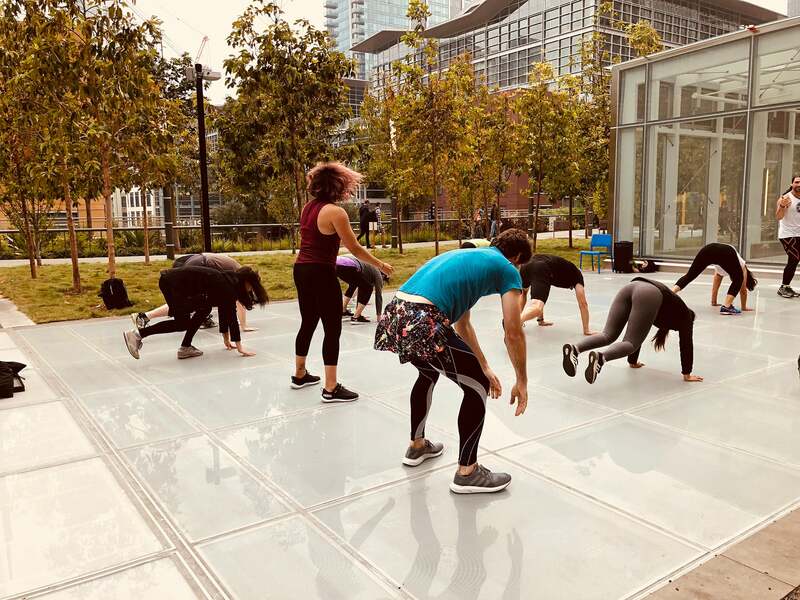 The outdoor exercise plaza offers fitness buffs a pleasant alternative to sweaty gyms. 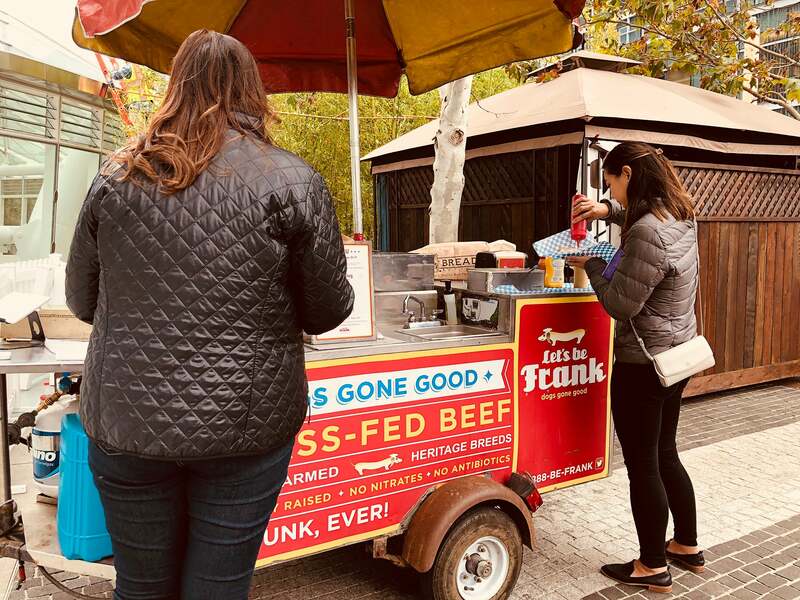 A gourmet hotdog stand is among the offerings at the outdoor food court. 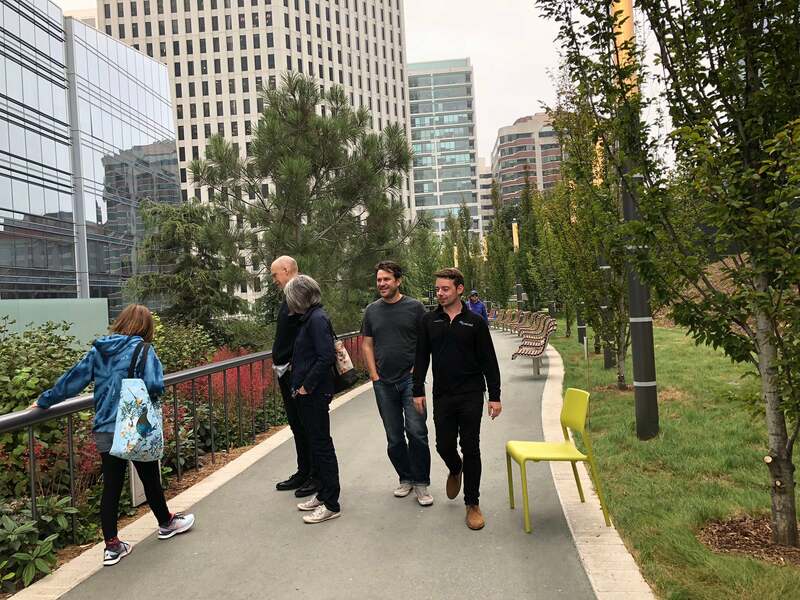 From the main hall, you can take escalators or elevators to the rooftop garden, and soon there will be an outdoor gondola to whisk you to the top. 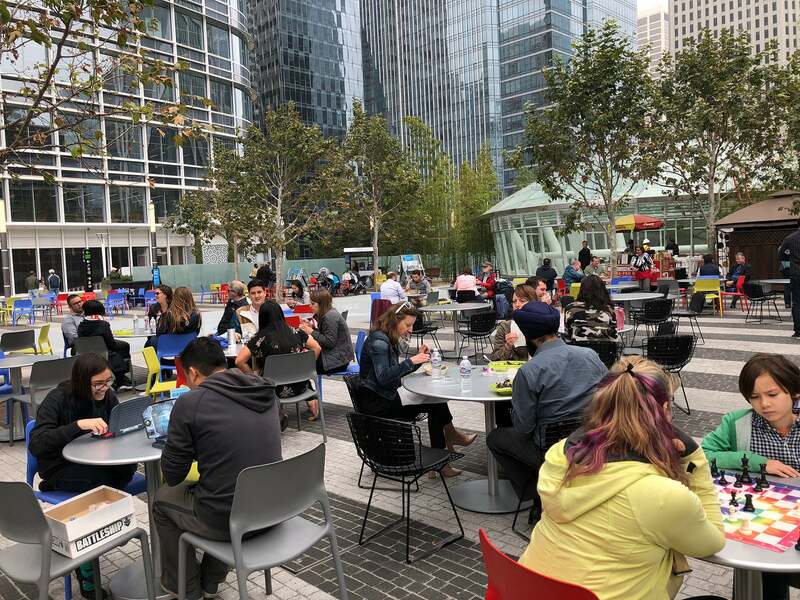 It's a law of nature in San Francisco that where there's a plaza, food trucks will congregate. 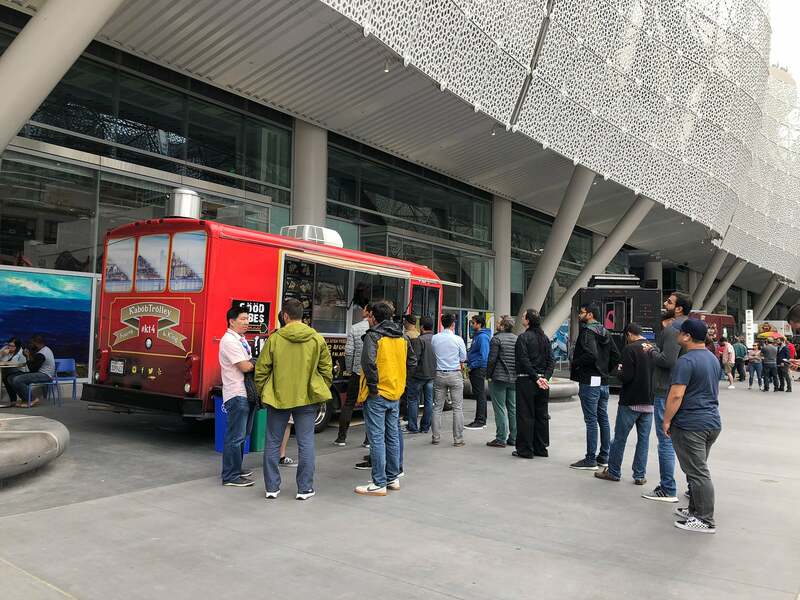 And so it is at the Salesforce Transit Center, which has sprouted a Food Truck Lane. 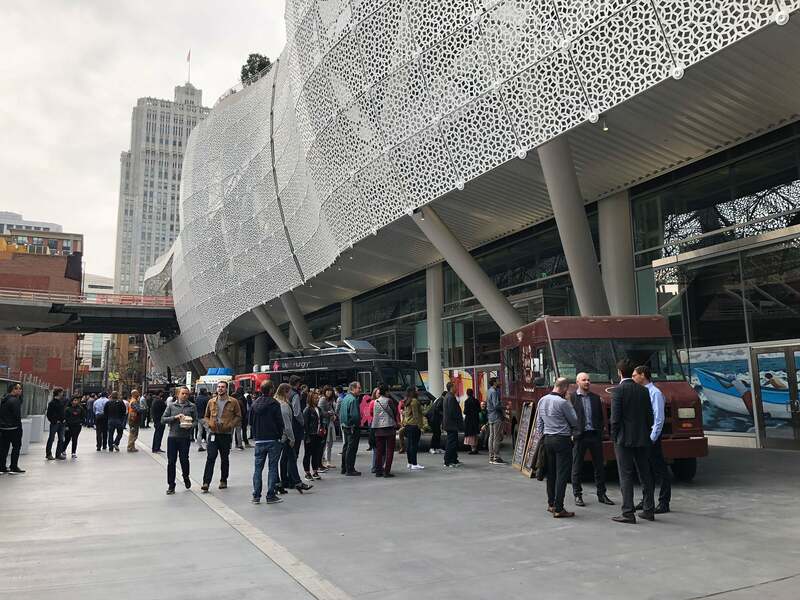 From the outset, lines have been long at San Francisco's newest food truck venue — the base of the Salesforce Transit Center. 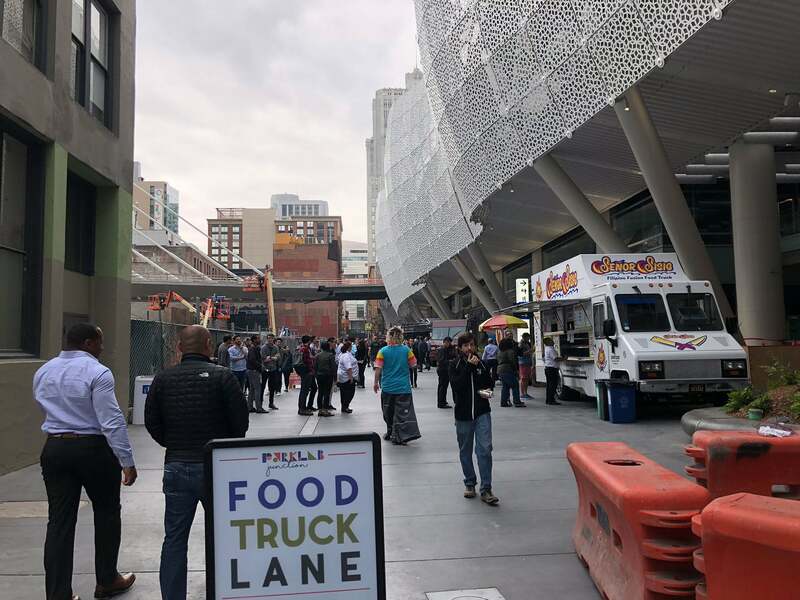 Another view of the Food Truck Lane at the Transit Center. 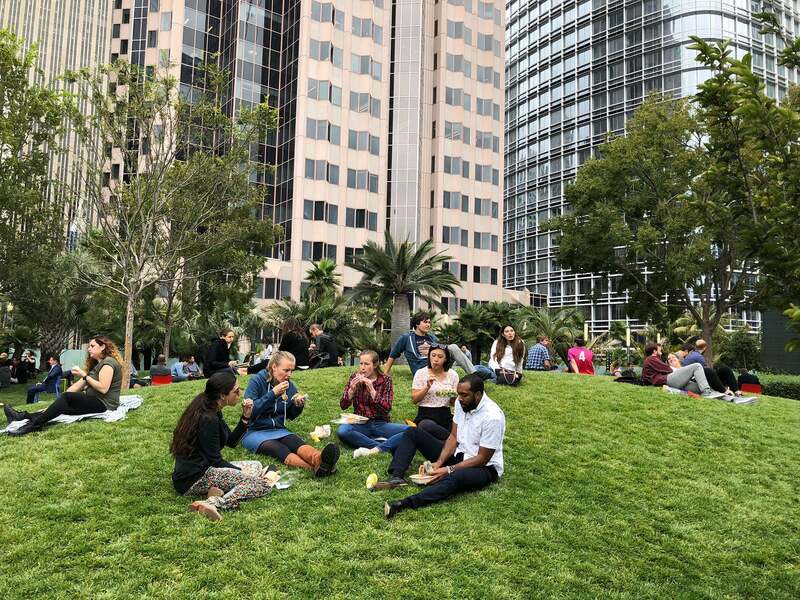 Open grassy areas at the rooftop garden allow for lunchtime picnicking or sun soaking.